Experience a New Year’s Eve event like no other at this trendy, upscale lounge. BestNewYears.com is the site for New Year's party information trusted by local New Yorkers and tourists alike. Using our extensive network of nightlife connections, we picked out the hottest party of the year and then work to get you amazing discounts on the door price! Troy Liquor bar at 675 Hudson Street is the best New Year's Eve Party in the city. You deserve to treat yourself to a wonderful end-of-the-year party. 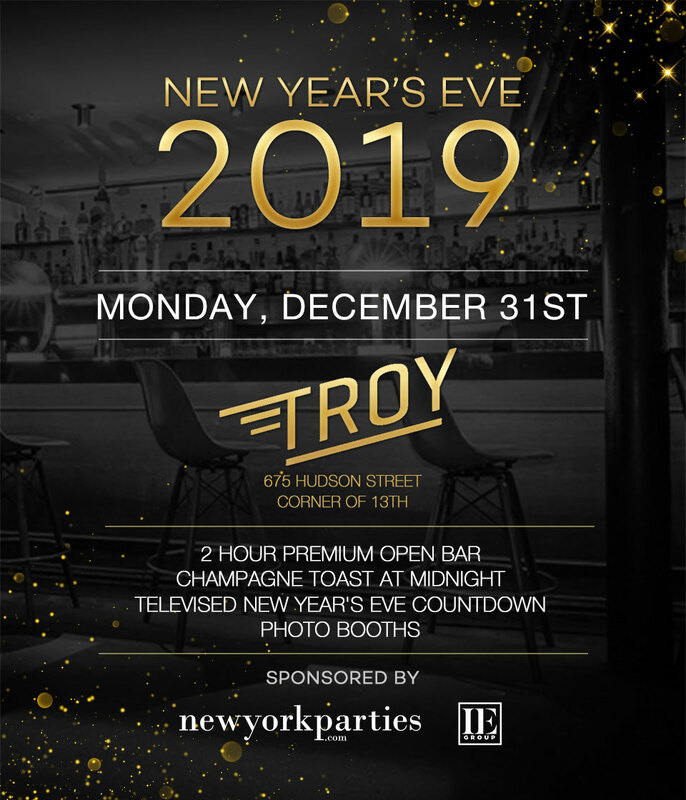 Fortunately for you, BestNewYears.com has partnered with Troy Liquor bar so you can enjoy an amazing night without spending a fortune. Don't wait, get your discount New Year's party tickets today! Discount tickets only available while supplies last. Don't miss out, purchase your tickets now!